Reproduction Adolf Hitlers Cap in aged condition. 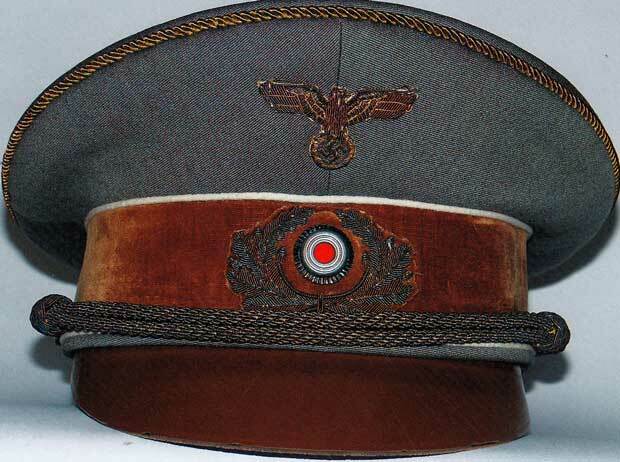 This is the cap he wore from 1938 to the end in 1945, indicating his position as Führer. His earlier caps (pre-1938) were NSDAP party brown with early Nazi period insignia. There are only three known examples of Hitlers military caps existing today. One (pre-1938), is held privately and two are held by the Russian (ex Soviet), Museums. This cap allows you to own something that even a millionaire would struggle to acquire. A lot of work went into this cap to get it as accurate as possible, here is a link to one of the Russian held caps for comparison. Please email us if you want a similar one made to your specification.